Over 60 years ago, Rainer Heiliger, a respected merchant and wine dealer from Sylt, purchased the production site of the Holsten-Brewery in Westerland, Bötticher Street 7 on Sylt, to store his fine wines. The historic building featured a turf chamber, which the whiskey enthusiast fell in love with right away. Already in the 1960’s and 70’s, Delicatessen Heiliger was the place to go for well known and rare Scottish single malt whiskeys in Germany. However, many years passed between the first thought and the first cask of his own whiskey from Sylt. Alexander Sievers, son-in-law and current owner of the Heiliger wine shop, is a passionate whiskey connoisseur as well and took his father-in-laws’ idea up again. As life goes, he encountered whiskey pioneer and founder of the Slyrs distillery at the Schliersee in Bavaria, Florian Stetter during this time, who distilled his first single malt in 1999. 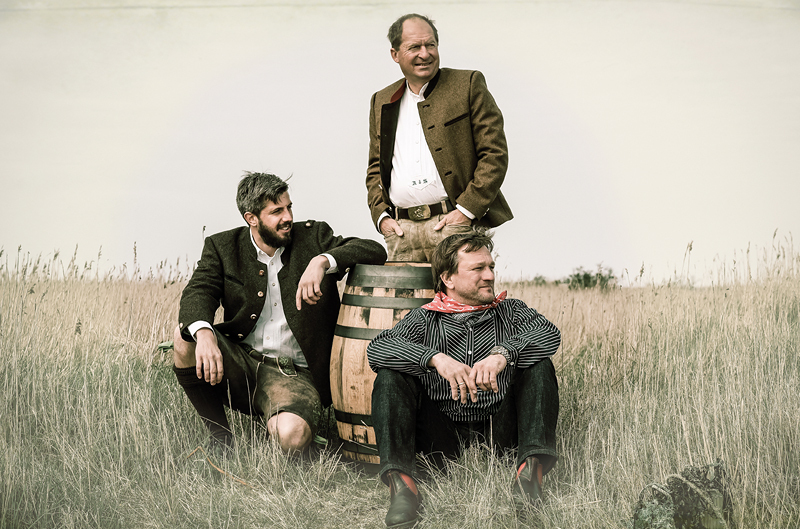 Alexander Sievers was on fire for the project and started initially on his own, but was later joined by the makers of the Slyrs distillery Anton Stetter, co-owner of Slyrs, and Hans Kemenater, a master distiller from Bavaria. The SILD brand, the island whiskey, was born. Oftentimes genius ideas and visions are doomed to fail in reality, which is what almost happened to SILD. The costs for storage space for the whiskey casks were far too expensive on the island. Quote of Alexander Sievers: “If we can’t store it on land, we’ll just have to store them on the water. We need a ship where we can store our whiskey on”. 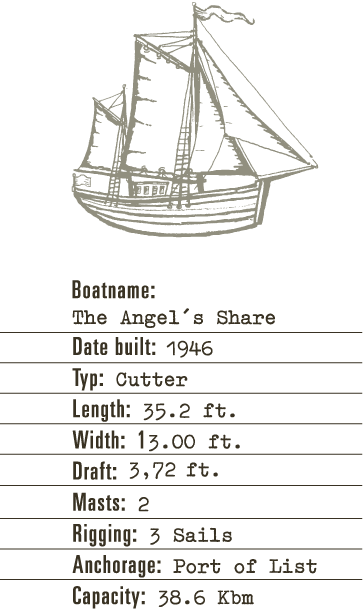 The historic cutter “The Angel’s Share” was acquired, lovingly restored and made seaworthy. Now it lies at anchor at the most northern port of Germany in List, with its valuable load.